The Board also decided to install the ETCS Level-II system on the entire 9,054 km-long Golden Quadrilateral route connecting the four metros to make it a fully accident-free corridor. 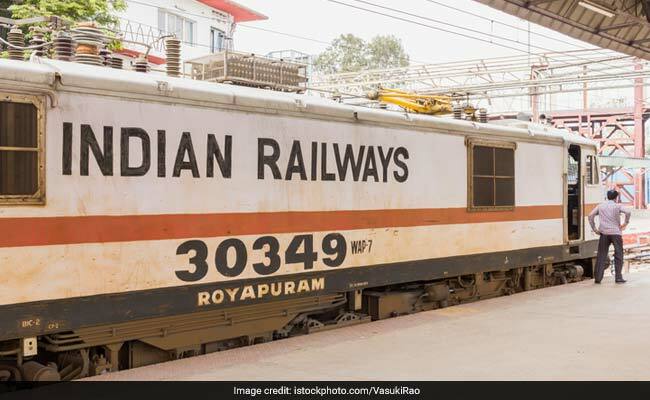 New Delhi: The Indian Railways has cleared a Rs 12,000-crore proposal to equip electric locomotives with the latest European train protection system. Besides, the Board also decided to install the ETCS Level-II system on the entire 9,054 km-long Golden Quadrilateral route connecting the four metros to make it a fully accident-free corridor. There are cases where accidents occur due to error of locomotive pilots who generally have to work in very stressful conditions. Currently, the Railways has a basic automatic train protection system based on the ETCS Level-I specification to provide a back-up to loco pilots on a limited stretch. Known as a "train protection warning system", the facility based on ETCS Level-I has been implemented on about 342 km of rail route. Gatiman Express, running at 160 kmph between Nizamuddin and Agra, safely runs at this speed protected by the system. In a train protection warning system, information regarding the condition of the signals ahead -- whether it is showing red, yellow or green -- is communicated to the locomotive and is shown on a display screen called DMI (Driver Machine Interface) in the front of the loco pilot. In the ETCS Level-I system, this information regarding the condition of the signal ahead is periodically received in the loco whenever it passes over a device called "balise" which is fitted in the middle of the track at certain intervals. Thus this has a limitation that the information regarding the signal ahead is received only when a loco passes over a balise -- and the driver has to wait till he passes over the next balise to get updated information. This disadvantage of the ETCS Level-I is overcome in ETCS Level-II, which ensures that the status of the signal ahead is continuously available in the loco through a wireless radio medium using a GSM-R (Global System for Mobile Communication-Railways) network. GSM-R is similar to the mobile GSM network with some special features for Railway applications. With the status of the signal continuously available, the driver can now run the train more efficiently, as per the movement authority available to him, thereby improving overall speed and the section capacity of the route.